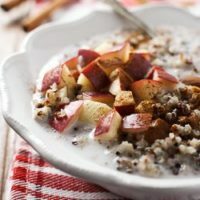 This Apple Cinnamon Quinoa Breakfast Bowl is so easy to put together that I don’t even call it a recipe. It’s more of a healthy breakfast idea. 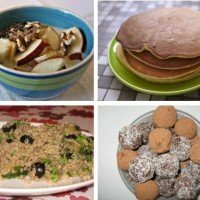 Having cooked quinoa in the fridge is super helpful. 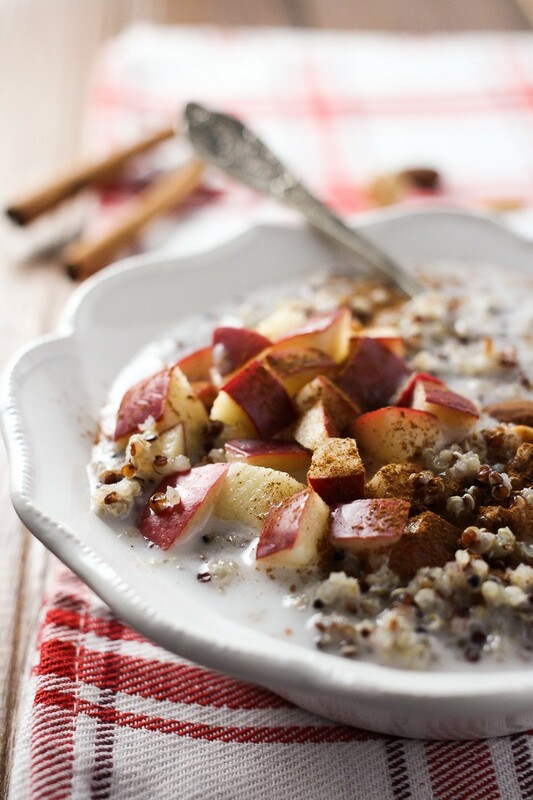 Use it as a side dish, add it to soups, salads, or make a healthy breakfast. 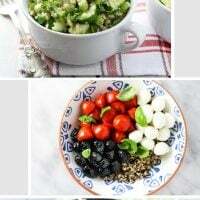 I prefer to buy rainbow quinoa which is a blend of regular white, red and black quinoa. 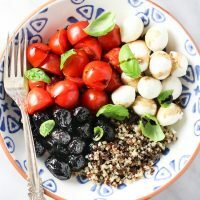 I really like the slightly crunchy texture of the red and black quinoa. 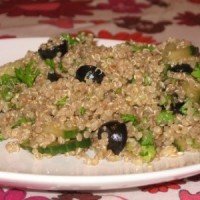 But regular white quinoa will also taste great in this dish. 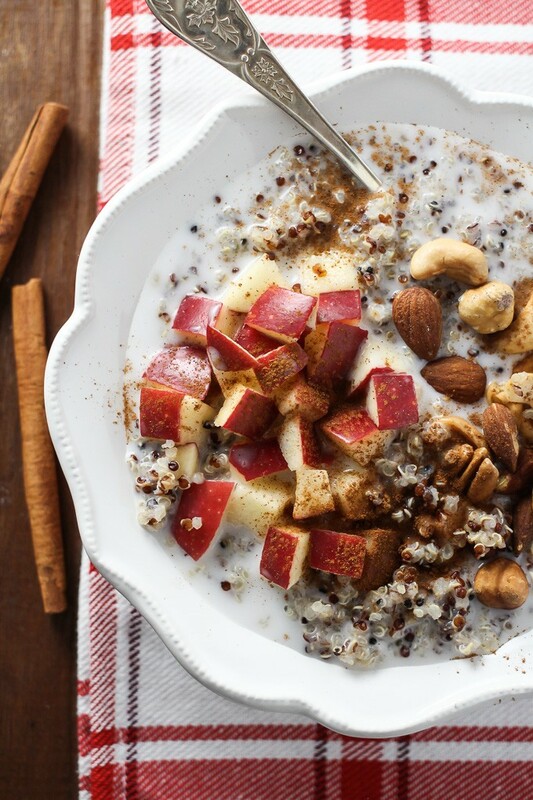 You can use warm or cold milk in this quinoa breakfast bowl. I usually prefer my breakfast to be warm or at least room temperature. 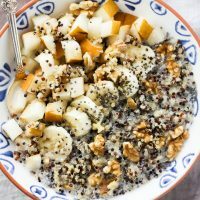 This breakfast dish is very filling and full of plant protein, fiber, healthy fat, vitamins, and nutrients. 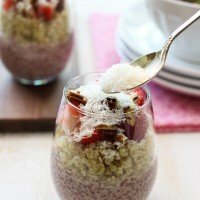 If you love eating quinoa for breakfast, check out this Fruit and Nut Quinoa Breakfast Bowl and this Strawberry Chia and Quinoa Breakfast. 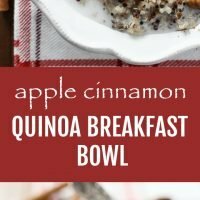 This Apple Cinnamon Quinoa Breakfast Bowl is very easy to put together. It’s very filling and full of plant protein, fiber, healthy fat, vitamins, and minerals. 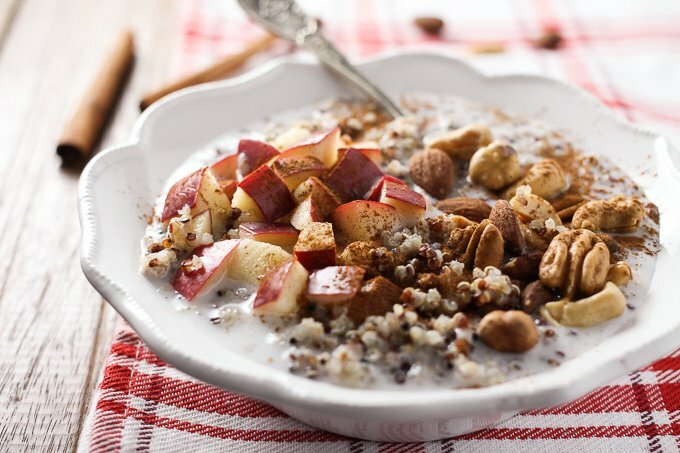 Place the quinoa, chopped apple and nuts into a bowl. Add the milk and sprinkle with cinnamon. Nutrition information is a rough estimate for the full recipe.